This Shinko is really nice on the street. I had about 80 lbs of gear loaded on the 500 lb bike. We rode for hours on end over 90mph. Reached 105 on occasion… GPS speed… It cost 1/2 the price of the competition, $110 versus $220.. (Conti TKC80 and Mitas e09 or e10). 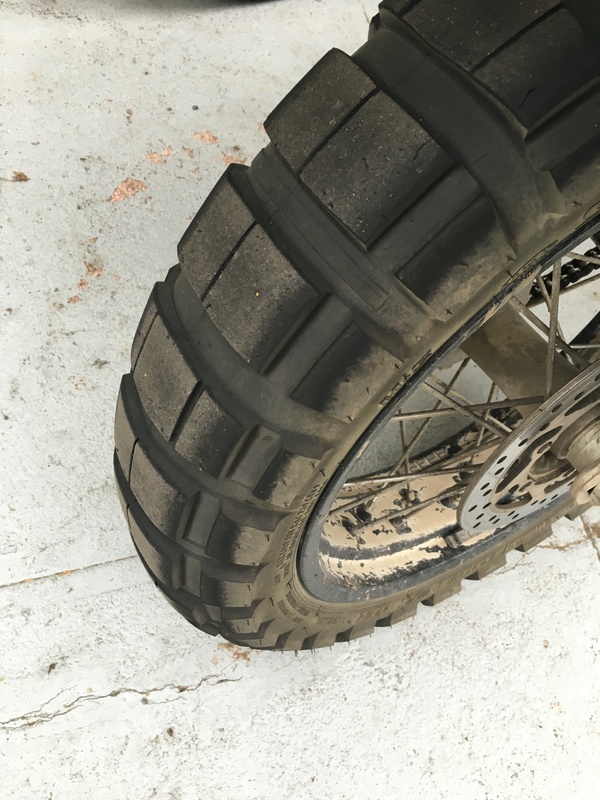 So far the Shinko beats the others for longevity and is just as sticky in a straight line in the dirt.. It gives up a little under breaking loads and drifts sideways a bit more wildly than the others but for the price I’m thrilled!